RUSSIA. Moscow. May 6, 2015. 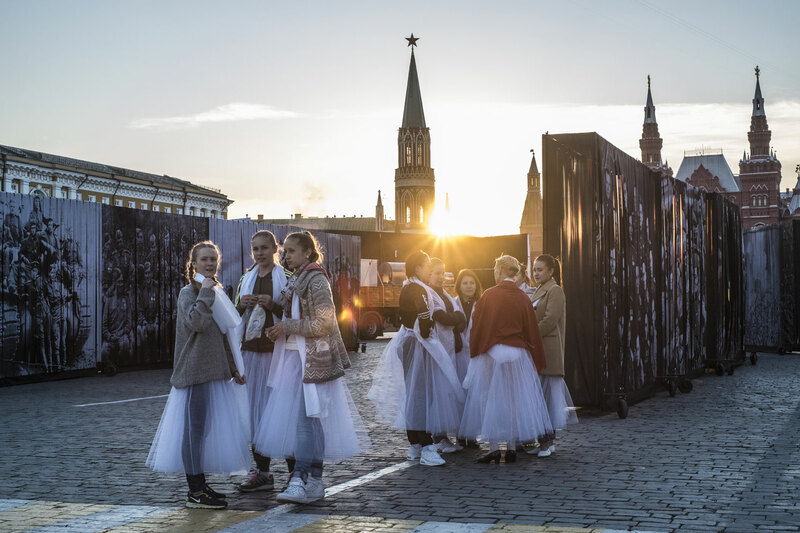 Ballerinas are waiting to rehearse their part for the show that will be perform on the evening of May 9 on the Red Square.